Game of Thrones star Sophie Turner has admitted her character Sansa Stark will be jealous of half-brother Jon Snow in the upcoming seventh season. At the end of season seven, Sansa ensured Jon’s success in the Battle of the Bastards by securing the aid of Littlefinger and the Vale. However, her efforts did not go rewarded as she watched Jon crowned ‘King of the North’ for the achievement, despite not being a trueborn Stark son. 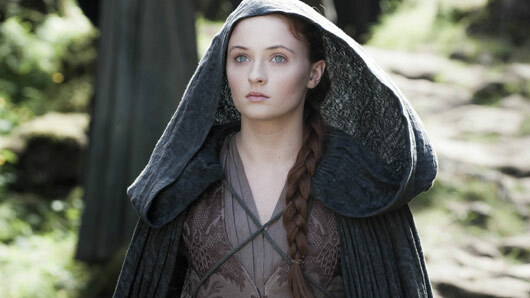 Sansa has experienced her fair share of hardships on the show, including being betrothed to two tyrants and married to one. She continued to explain how Sansa feels about Jon: “I think she definitely feels left out, with Jon being King of the North. There’s a little bit of jealousy there and she feels as though she deserves the title of Queen of the North. “She also feels like it’s an injustice that she hasn’t been recognised for what she did for all of the northerners and also that Jon isn’t recognising that either. Game of Thrones returns to Sky Atlantic on July 17 at 2am and 9pm.